Love Bites Dog Muffins are the perfect soft muffin for your favorite canine. Inspired by Dexter’s Love, Sabrina Furchild. 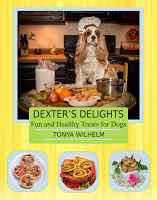 You can find this healthy dog muffin recipe and many more in my dog treat cookbook, Dexter’s Delights. Read the health benefits of strawberries. In a large mixing bowl, whisk eggs. Add flour and shredded coconut. Fill a ceramic or lined mini muffin pan with mixture. 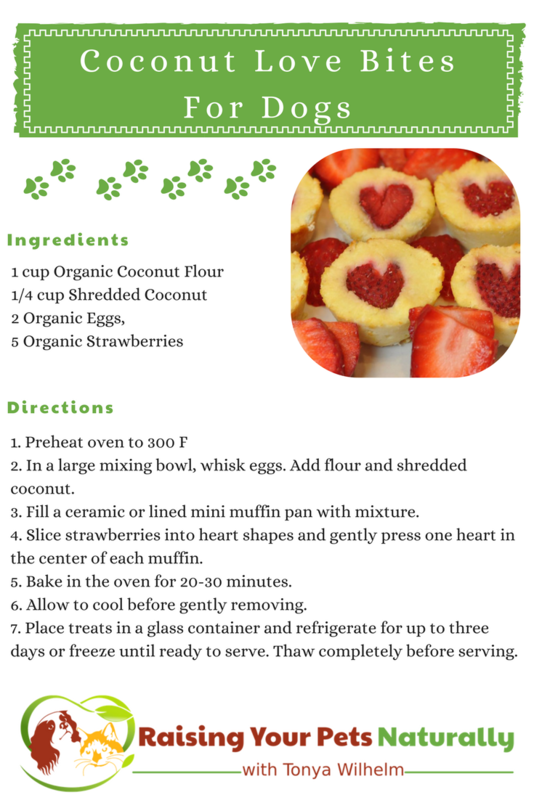 Slice strawberries into heart shapes and gently press one heart in the center of each muffin. Allow to cool before gently removing. 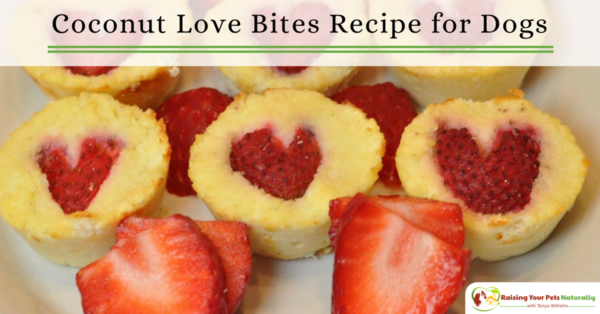 Do you make healthy homemade treats for your dog? Tell me in the comments.